Sheltered from the outside world with no hope for escape, slave girl Reychel dreads her fifteenth birthday - when her master’s symbol is burned on the back of her bald scalp. Her best friend disappears the night before, leaving her to face the branding ceremony alone. 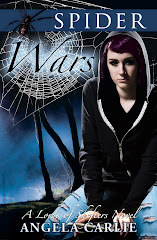 She soon discovers nothing is as it seems when people desperate for freedom beg for Reychel's help. 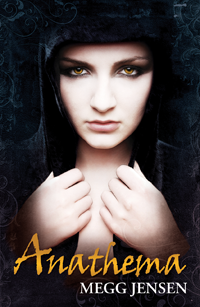 Anathema is free - ongoing - at Smashwords, the iBookstore, and Wattpad. DRM free version, PDF eBook .... A chance encounter lifts the spell. Powers long asleep, awaken. But when descended from an evil bloodline are you doomed to follow the same destiny? 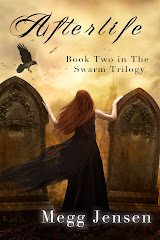 Three destiny's ... One fate ... Book one, an epic journey begins and a magic long asleep will Awaken.... Thirteen year old telepathic twins, Meghan and Colin Jacoby, assist a Gypsy Boy, whose caravan travels between worlds, to get home after he accidentally gets left behind when they move on without him. In the first part of this saga, after encountering the Gypsy Caravan, and the purchase of a book called Magicante, unexplainable things start happening in the twins' normally boring, predictable and controlled lives. They find themselves being hunted by frightening trackers of the Gypsies magic and are even more surprised when they discover they have more in common with the Gypsies than they could have ever expected. Wanda had always read about adventure. Now she was in the middle of one. 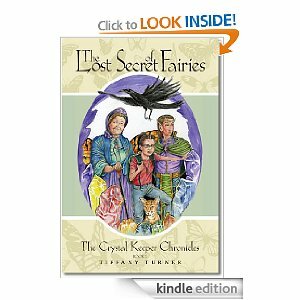 The World of Fairies is real, and she is their new Crystal Keeper, human caretaker to the World of Fairies. But the Fairy World is in trouble. The fairies are falling ill from the pollution that ravages the world above. Wanda has to find the key to their cure, before it is too late. PETER AND THE VAMPIRES is the first in an ongoing series that includes PETER AND THE WEREWOLVES and PETER AND THE FRANKENSTEIN. 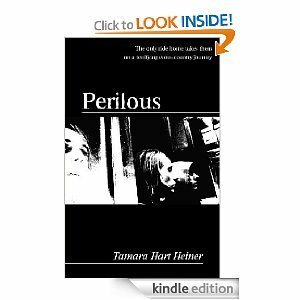 This book is 120,000 words (370 pages) and contains some mild language, violence, and scary situations. 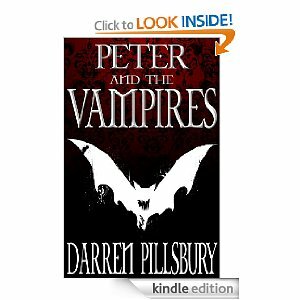 Learn more about Peter, Dill, and the author at his official website, www.DarrenPillsbury.com. Of all the things ten-year-old Cory Wilson expects to do when he moves to Midway Space Station, saving aliens from humans isn't one. An important conference is about to start at the station, not usually the sort of thing kids care about, not even when the conference is between humans and aliens, and half your family is alien. However, when bullies tease Cory, he ends up in a prohibited area where he overhears some men planning to plant a bomb at the conference. Because the terrorists hide their messages in computer games, no one believes Cory, not even his father, the station director. Kids at school think he’s crazy, some even think aliens should be bombed. The conference starts, the aliens have brought a very important person, and Cory's teacher, one of the terrorists, locks Cory in the classroom. Can he get out in time? If he does, will anyone listen? Perilous is Free with DSP! Jaci Rivera joins her best friends Callie, Sara and Amanda for a night of pizza and shopping. But an evening at the mall turns into a terrifying twist of events that drive Jaci and her friends 2000 miles across the Canadian border. The girls find themselves alone and running from unknown enemies on all sides, and not even the police can be trusted. . . . Detective Carl Hamilton is called out on a homicide case where the partially decayed body of an unidentified teenage girl is found along a remote highway. He is drawn into a life and death race to stop the killers before they strike again. ALTERCATION, the sequel to PERILOUS, will be coming soon from WiDo Publishing. When Maxwell is mistaken for the descendant of a line of noble knights he is kidnapped and cast in to a magical world of bipolar witches, depressed Cyclopes, a beautiful maiden and a missing alphabet. As he struggles to find his place in this strange new world he must thwart a nefarious plot by a criminal mastermind bent on capturing the throne for himself. Maxwell's Closet is a book with a lot of humor and a big heart. 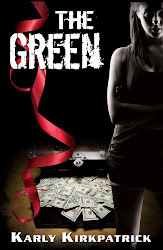 It is a story of betrayal, revenge and growing up in a confusing world. Throughout the story Maxwell encounters strange new people and places that test his patience and his wits. He is forced to learn to rely on himself and finds that he is capable of more than he could have ever dreamed. DarkSide Publishing is excited to announce a new feature that we feel will be extremely beneficial for our readers, as well as for our fellow authors. We are hoping to work with authors to bring daily free ebook deals to our DarkSide readers. There are many books that go free every day. We will be focusing on Young Adult and Middle Grade titles. Authors will have a chance to fill out our form HERE and submit information on their upcoming free ebooks on ANY site. Amazon, Barnes & Noble, Smashwords, etc. We don't discriminate! We'll share the daily free deals to our readers Monday through Friday. Readers will be able to find out about the daily free deals by following the blog on Networked Blogs, check the site daily, or following us on Twitter. Readers, stay tuned for great daily deals! 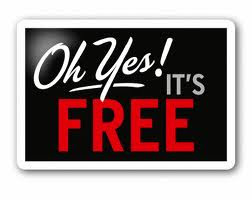 Authors, get us your free info!